Biola Shotunde has been a member of the Africa Center alumni community since 2008, when she participated in the Combating Terrorist Financing in North and West Africa Program and the 2009 Community Leadership Conference. 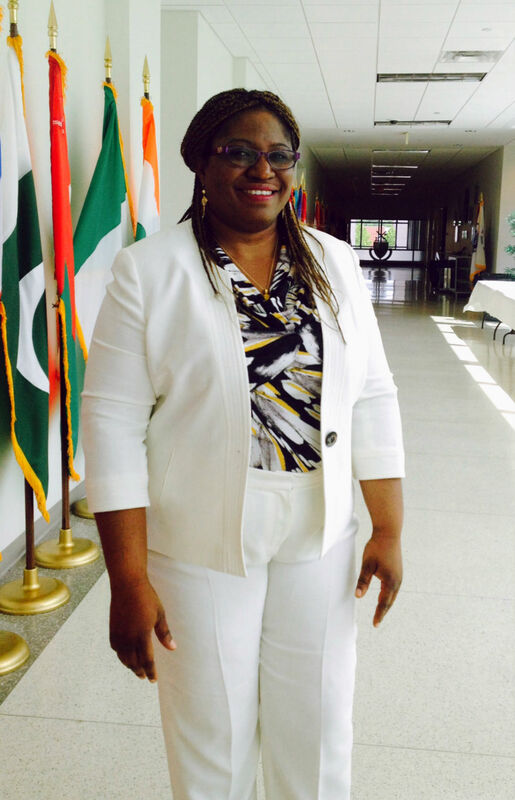 Mrs. Shotunde most recently earned her Master of Arts in Strategic Security Studies and War College Diploma in 2015 after a rigorous ten-month International Counterterrorism Fellowship at the College of International Security Affairs at the National Defense University in Washington, DC. She also holds several diplomas from Nigeria. Today, she is the detective superintendent and head of the Financial Intelligence Unit (FIU) Strategic Analysis Unit within Nigeria’s Economic and Financial Crimes Commission, with a focus on eradicating “economic crimes, corruption, money laundering, and terrorism financing in Nigeria and to contribute to strengthening Nigeria’s national security to promptly develop to its supposed enviable place across Africa,” said Mrs. Shotunde. “The FIU is the central repository of all financial information…. [It] disseminates such intelligence to all relevant stakeholder within the law enforcement community in Nigeria and engages with other national FIUs of about 140 countries through active exchange of intelligence.” The work of the FIU is fundamentally interagency in its nature and boosted by international cooperation—two key recurring themes across all of the Africa Center’s programming. Mrs. Shotunde belongs to the Africa Center alumni chapter in Nigeria, which was founded on March 9, 2005, and has approximately 217 members, making it the second largest chapter on the continent.